From 1875, this was the home of Punch cartoonist Edward Linley Sambourne, his wife Marion, their two children and their live-in servants. 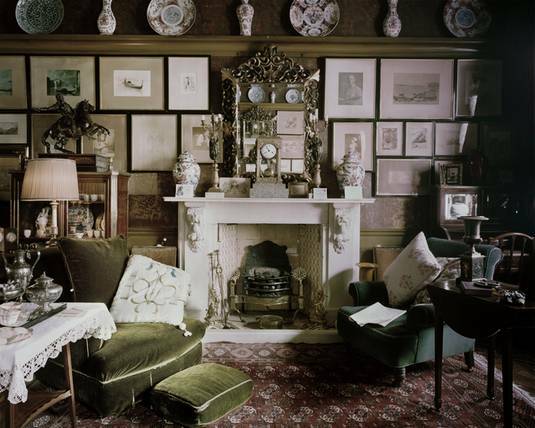 The house gives an insight into the personal lives of the Sambourne family, and also provides a rare example of what was known as an ‘Aesthetic interior’ or ‘House Beautiful’ style. The Aesthetic Movement of the late nineteenth century advocated the use of foreign or ‘exotic’ influences in the decoration of the home. This can be seen by the various Japanese, Middle-Eastern and Chinese objects throughout the Sambournes’ home. After the deaths of Linley and Marion Sambourne, the house was preserved by their descendants. In 1980 it was opened to the public by the Victorian Society.